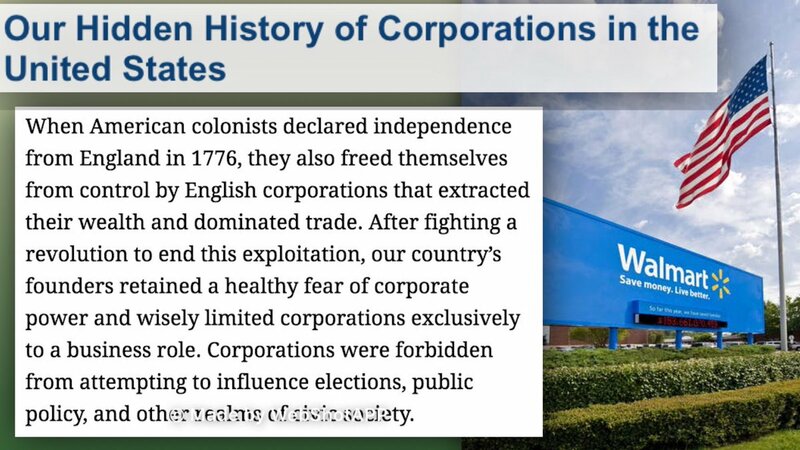 Considering that a significant number of society’s ills are caused by psychopathic “Corporate Person’s”, it’s worth examining how differently Corporations were treated in the past. 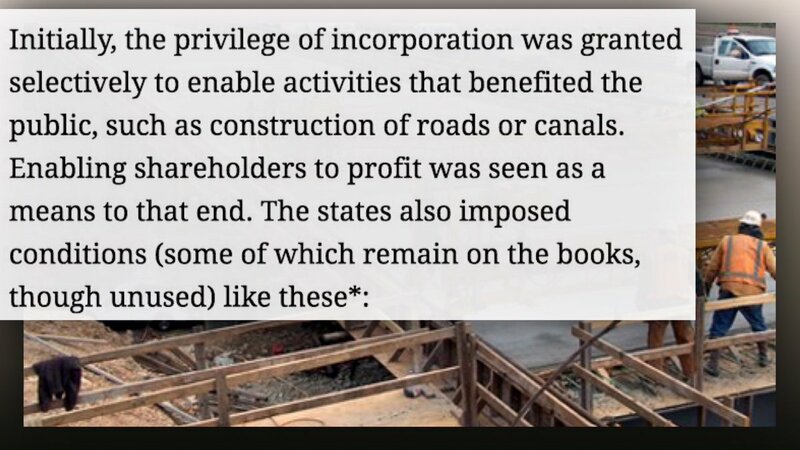 • Initially, corps were treated w/suspicion, a continuation of Royal Warrants/contracts & contrary to ~laissez faire~ capitalism. Thus they were tightly controlled through Charters of Incorporation, which governed their existence. 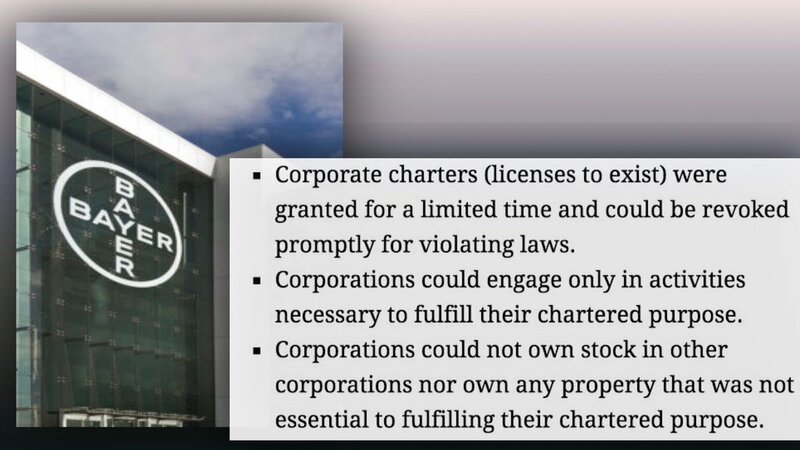 • Critically, charters were granted for a specific amount of time, for a specific purpose. That purpose had to be one which could at least be claimed to serve the public’s interest. 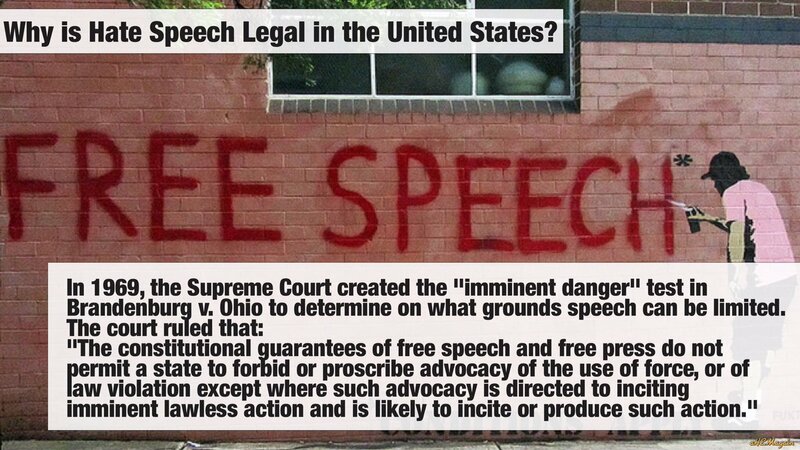 • there must be the likelihood that unlawful action will be the consequence of said speech. 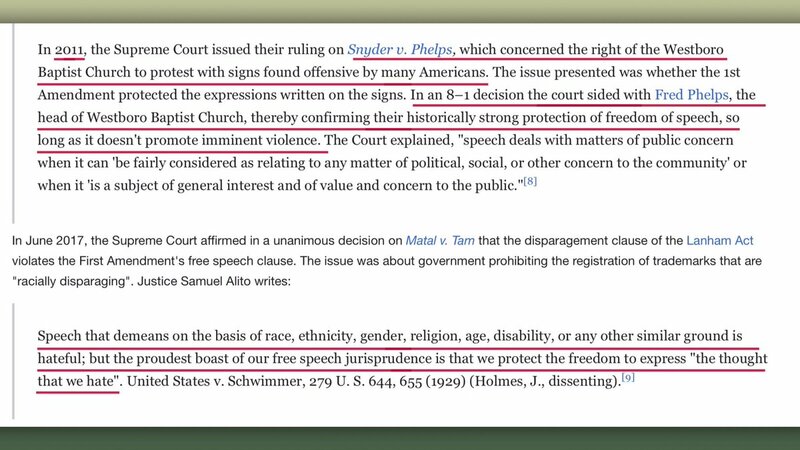 — time & again, courts both liberal & conservative tend to rule in favor of speech rather than it's restriction. The burden of proving intent to, & reasonable expectation of inciting, unlawful behavior is high. 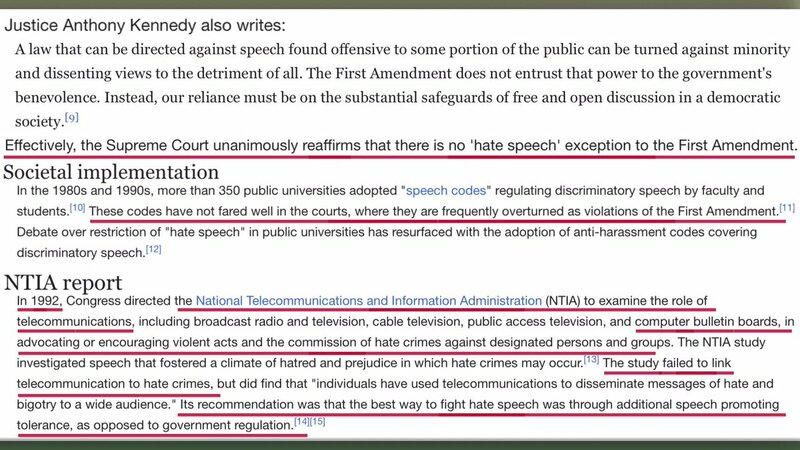 — it's ironic that universities/academics are leading the charge against "hate speech", given should they succeed, protests against ANYTHING will be illegal. North Korea: Diplomatic negotiations with NK are breaking down because of Max Thunder, US/SK military exercises which are practicing simulated nuclear bombing runs on North Korea. — we're currently in a situation where the left hand (who knows all) is completely disconnected from the clueless right hand (Trump admin) by design. At root, the US doesn't want SK/NK unification. — there's no doubt amongst honest military analysts what's going on here. The #DeepState has no intention of letting "peace break out". North Korea, a country in the thrall of a dictatorship, still is sovereign. Israel's official military doctrines are those of a terrorist rogue state. Consider for example, the #SamsonOption and the #DahiyaDoctrine. The Samson option is nothing short of codifying the movie Dr. Strangelove as foreign policy. ⤴️Evidence of Israel being a "rogue state"
— the fact Israel has nuclear weapons yet hasn't signed the Nuclear Proliferation Treaty puts them in same category as North Korea. Except NK never vowed to take down even allies if their existence is threatened. — I'm sure the same people who advocated "Mutually Assured Destruction" as a "deterrence strategy" are all in on the #SamsonOption doomsday scenario. IMHO, it's morally repugnant.